During the 2014 World Cup in Brazil, streetfootballworld and FIFA teamed up to host the Football for Hope Festival - a 12-day celebration of football’s power to change the world for good. The event brought together hundreds of young leaders from around the globe and provided them with an opportunity to learn from one another in an international environment. Staged at the famous Museo da Republica in Rio de Janeiro, Football for Hope Festival 2014 featured workshops, debates, lectures, film screenings and cultural exchange programmes. 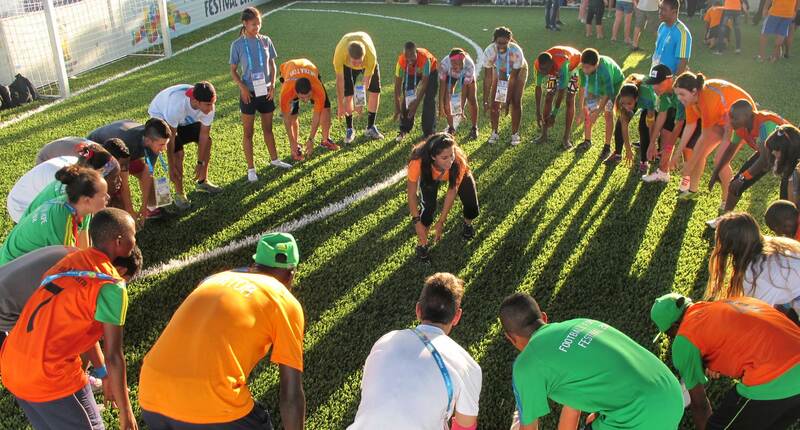 It also attracted participation from a host of sporting icons, such as Brazilian football legends Marta and Ronaldo. The event culminated in an exciting street football tournament where teams of mixed genders, nationalities and ethnicities played together without the help of a referee. Any disagreements on the pitch were resolved through dialogue, encouraging the personal and social development of all players. Aside from providing participants with a once-in-a-lifetime opportunity, Football for Hope Festival 2014 played a crucial role in raising awareness of the positive potential of football.